Are you ready to take loyalty % to a whole new level? 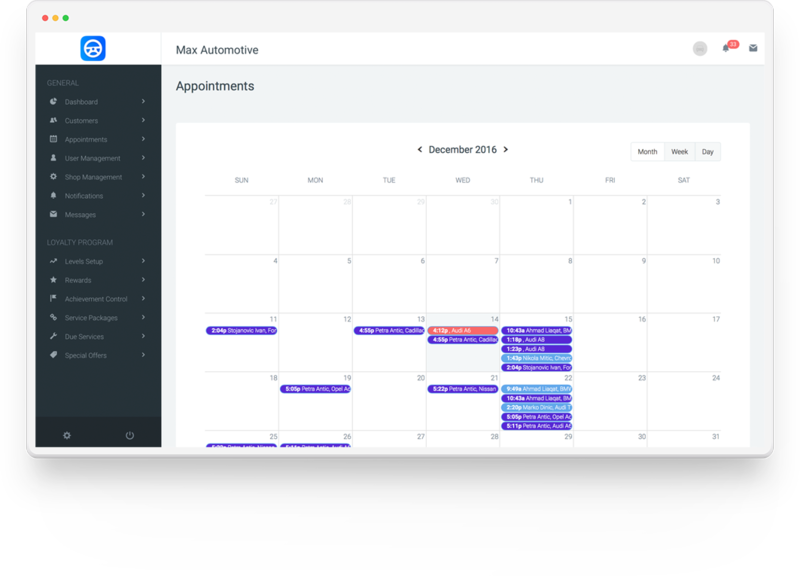 Update your auto repair shop with mobile appointment booking system, 2-way multimedia chat, rewards, referral and review systems. Our sole purpose is to consolidate tools for you and solve some of the biggest friction points along the way. Increase revenue with a higher average invoice value through retention and loyalty. Clients can interact with the shop outside the counter. Clients are educated on due and deferred work. Increase car count and loyalty. Clients can see what work is outstanding or due by mileage, and easily book an appointment to have it completed. Fully managed website and social media. Dedicated social media manager to coordinate efforts across multiple social media sites and keep your customers engaged. Marketing specialists who manage your paid advertising to maximize your return on investment. Your shop is easier to find with our marketing system. 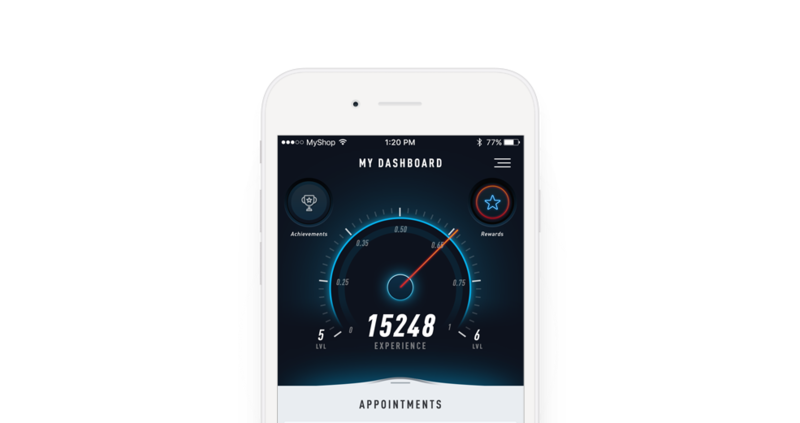 We make it easy to communicate with clients through our mobile apps and website and much easier for clients to communicate and book appointments with you. You get endorsement with more engaged users that share and refer you to earn points and rewards with friends, family and through social media. Get the full client experience. Achievements. Rewards. Vehicle history. Real time chat. Try the mobile app yourself! Integrates with your current shop management system to allow for seamless two way communication with customers and prospects through chat. 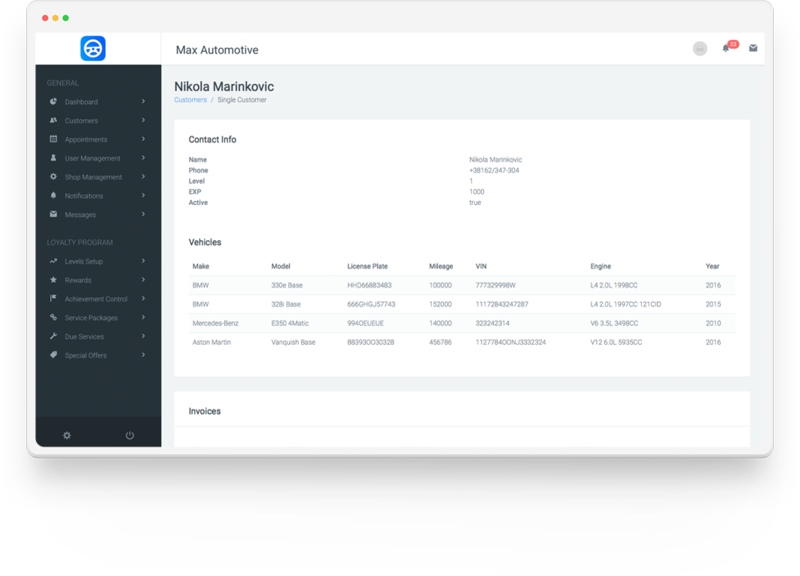 Shows full vehicle repair history and all deferred and due items per vehicle. Allows for clients to book appointments online that you approve. They are automatically inserted into your shop management system. Gives you ability to reward loyal customers with rewards and accomplishments earned through repairs and invoices in the shop. What Shop Management System Do You Use?